It turns out, you really can fossilise just about everything. After squid ink, soft tissues and coprolites we thought we’d seen it all. But according to some scientists, the imprints of raindrops from millions of years ago have been preserved in sediments, and can be used to tell us something about past climates. He did this by looking at the diameter of the imprints, which gave him information about how fast the raindrops were falling when they hit the ground. This speed depends on the density of the air, which the study estimated can’t have been more than twice that of today. That tells us something about the composition of the atmosphere, suggesting it can’t have contained nearly as large a percentage of greenhouse gases as previously thought. The raindrops in question fell on volcanic ash and quickly buried by more ash, preserving them in fine detail. There are many candidates for fossil raindrop samples, but some scientists are skeptical – are they really raindrops, or can they be explained by other phenomena, such as bubbles rising through mud? Fascinated by science, British Romantic painter J M W Turner was friends with Mary Sommerville and Michael Faraday. So he’d probably be delighted to know climate scientists have used his paintings to study the effect on climate of huge volcanic eruptions. Scientists at the National Observatory of Athens have studied various paintings by old masters, and Turner’s striking sunsets provide evidence of what happened following the eruption of Mount Tambora in Indonesia, 1815, which brought on the famous ‘Year without a Summer.’ Turner also witnessed, and painted the effects of, Babuyan, Philippines in 1831, and Cosiguina, Nicaragua, in 1835. 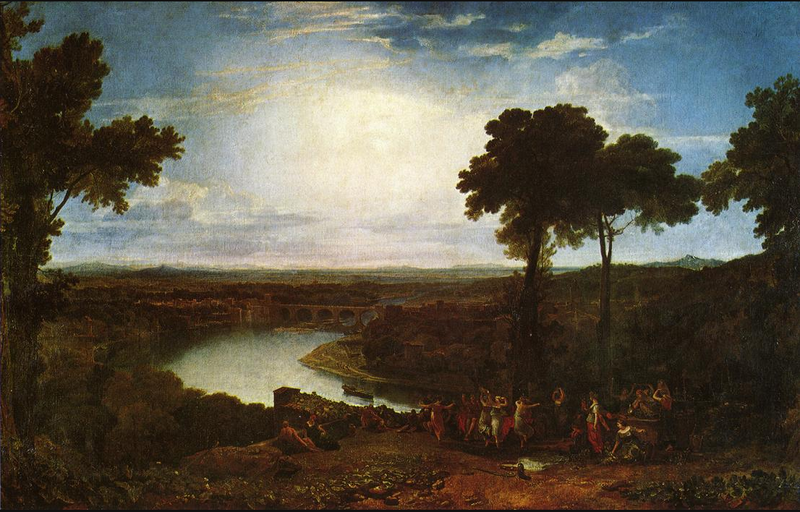 It’s fitting that scientists have turned to Turner – apparantly he was also inspired by them. According to his biographer, James Hamilton, when Turner was visiting Burlington House’s Royal Academy of Arts, he had a habit of listening in on scientific meetings happening in adjacent rooms – where the Royal Society was then based. That’s right. Dwarf elephants. Hard to imagine now, these too-adorable sounding creatures are sadly extinct, but once lived on islands in the Mediterranean, Indonesia and as far as off the coasts of Siberia and California. At the Natural History Museum, Victoria Herridge is studying dwarfism and what it can tell us about climate change – as island species, dwarf elephants were extremely vulnerable to rapid climate change, and lived through a time (800,000 – 3,000 years ago) where climate fluctuated between extreme ice ages and warm periods every 100,000 years. 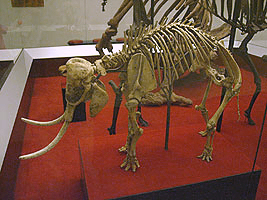 A skeleton of the Cretan Dwarf Elephant (Mammuthus creticus). 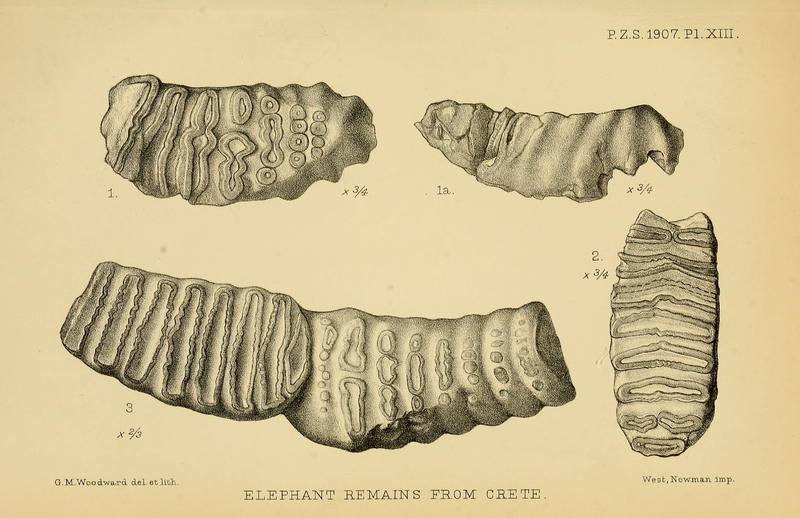 With sea levels changing as climate fluctuated, the sizes of the islands, their distance to the mainland, and whether they were joined by land bridges would have changed, so the evolution and distribution of dwarf elephants can tell us a lot about past climates. It’s even possible that such studies can tell us something about how mammals might respond to climate change today. Dr Herridge visited the Society last year to tell us more about her project – you can watch the video of her talk below. Tags: art, climate, climate change, climate week, dwarfism, elephants, environment, fossils, geography, geology, history, islands, palaeontology, raindrops, Turner, volcanoes. Bookmark the permalink.